Nikhil Ollukaren is a security consultant in the Application Security practice in Optiv. Nikhil’s role is to provide application penetration testing through assessing the ingress and egress points such as the operating system, hardware, and network connections along with code reviews. He is based on the east coast and travels nationally for projects and speaking engagements and also collaborates with other consultants on larger assignments. 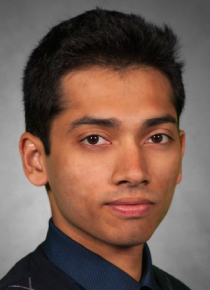 Nikhil Ollukaren has 4.5 years of experience in both consulting and programming/developing. Prior to working at Optiv Security Nikhil worked as a Programming Analyst which involved maintenance and update support for multiple web applications, porting an inventory application from Java and Oracle SQL to Microsoft .NET and SQL Server in a team of three, and using security evaluation software (Fortify) to assess the vulnerabilities of web applications. Nikhil has also participated in a variety of Hackathons in the Atlanta area and has done design and programming for mobile and wearable devices. Now Nikhil is focused on helping clients secure their web and mobile applications so they can operate with peace of mind.